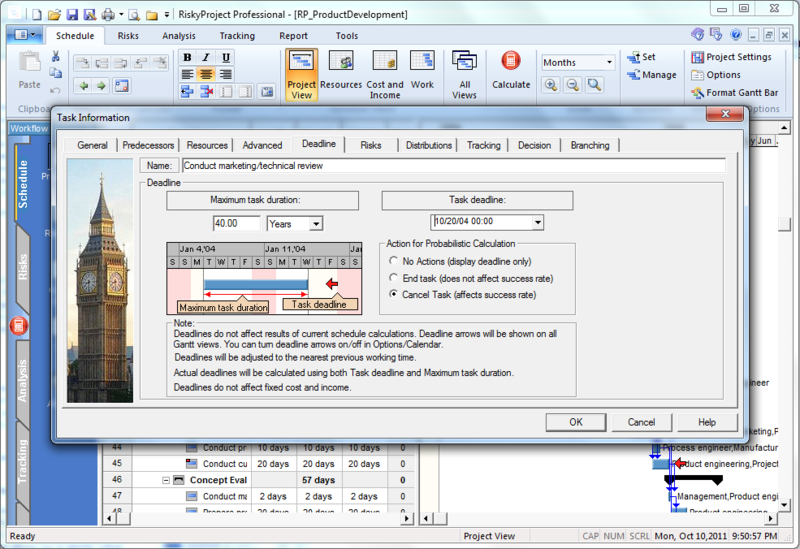 RiskyProject allows you setup project deadlines for tasks and projects and assign different actions to them. For example, tasks or projects can be canceled if the task or the project reaches the deadline. In this case, the success rate of the project or task (chance the project or task will be completed) is reduced.